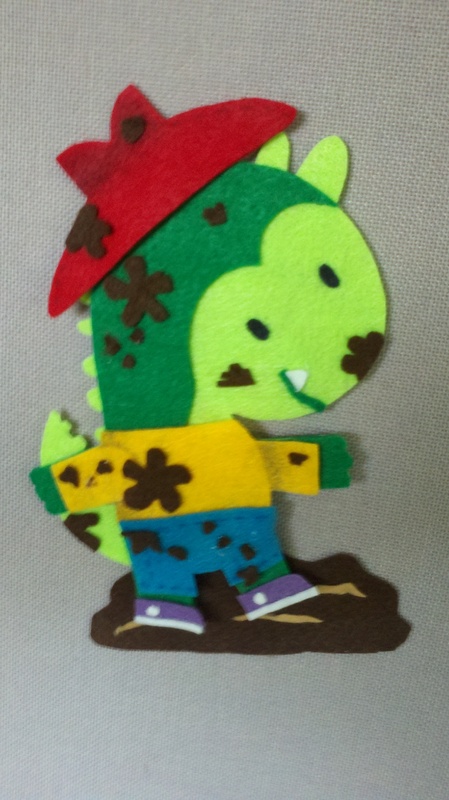 A dinosaur played in the mud and the sand. ‘Oh my goodness, Dini! You’re a mess!’ his mama said. 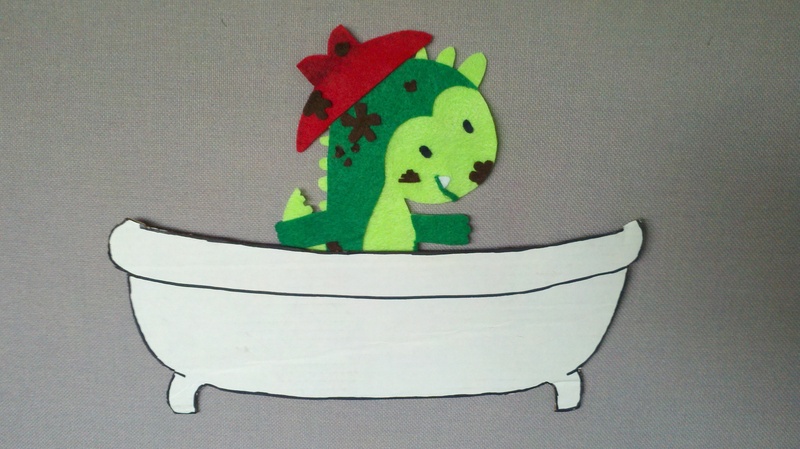 Dirty Dini Dinosaur splashed in the tub. He tried to wash his feet with a scrub-d-dub-dub! 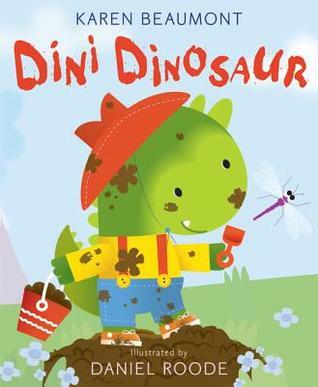 Silly Dini Dinosaur! Don’t you know? He tried to wash his (legs/tummy/head)with a scrub-d-dub-dub! “I love you , my sweet Dini, and I always will” mom said. 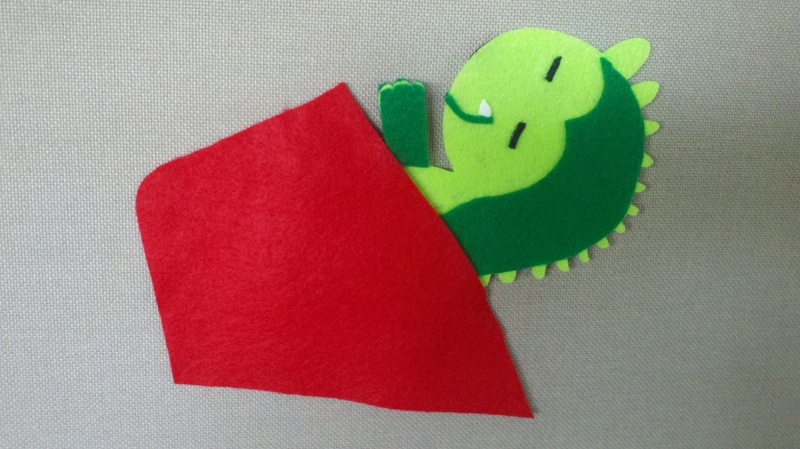 The she hugged and kissed him and tucked him into bed. This is so cute. We got the book after we’d done our dinosaur storytime this summer. That gives me plenty of time to make this before dino’s come round again!! Thanks for sharing. Oh, I don’t know this story. I’m going to order it. I can add it to Dinosaurs and Getting Dressed themes! Very cute. It’s also great for a bathtime theme! I’m sorry you are being bothered with so many messages. Unfortunately, I’m don’t know how that would be accomplished, and I don’t even see the original comment that you posted! I found this on pinterest, do you have any interest in selling a set of this, its so great! I left it with my position as a children’s librarian. It’s pretty easy to make if you just photocopy the cover of the book and tape it to felt you can cut around the images. 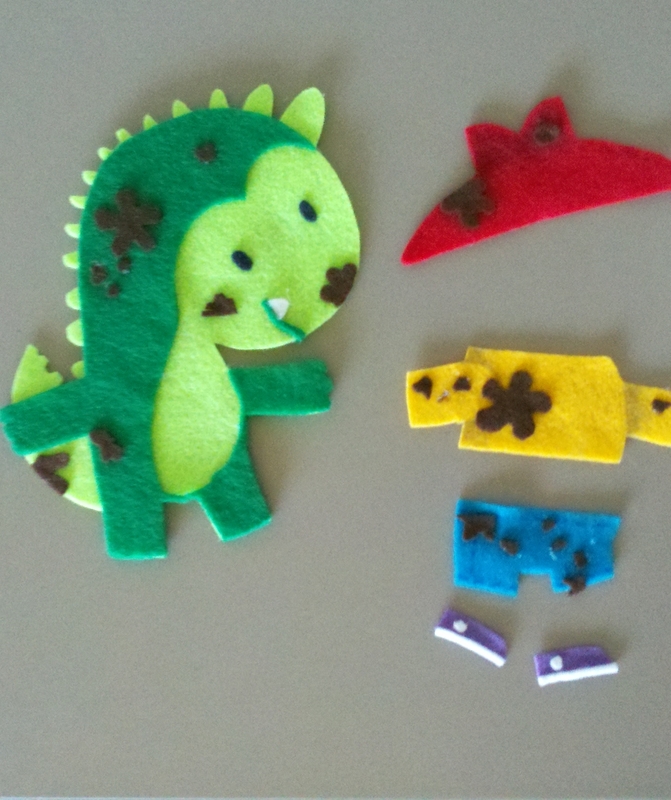 I did a copy for the dinosaur, and another for the clothing, then just added detail with a sharpie!